Pep Guardiola made history this Sunday, a day after winning at Wembley at Tottenham, conquering the Manchester City title with the Premier League thanks to the surprising defeat of Manchester United at Old Trafford against West Bromwich Albion. The Spanish coach already has 7 titles in 3 different countries having performed in 9 seasons. Far from the legendary Tomislav Ivic, who was champion in 5 different leagues (Yugoslavia, Holland, Belgium, Greece and Portugal) and the Argentine Gustavo Costas, who did it in Argentina, Colombia, Paraguay, Peru and Ecuador), the Catalan coach, Josep "Pep" Guardiola Sala, is in modern football and in big leagues, the one who has obtained the best performance in his career. After having coached 8 years less than José Mourinho, he has only one league championship less than the Portuguese. Mou certainly leads in having been champion in 4 different countries (Portugal, England, Italy and Spain). 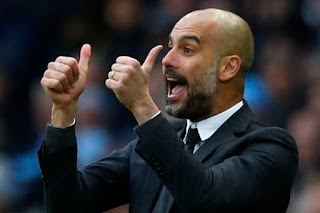 Guardiola, who won the tournament in the Third Division with Barcelona B, added three league titles linked to Barça, before bidding farewell to the Camp Nou in the 2011-12 season and finishing second to Real Madrid. After a year off, he signed for Bayern Munich, and in his three seasons leading the Bavarian team he obtained three Bundesliga trophies. In England he had to wait a year. Third classified behind Chelsea and Tottenham in its first season, in this second term the strength of Manchester City has been of such caliber that it has been proclaimed champion with five days in advance, having lost only 2 games in 33 dates and still aspiring to surpass the record of 95 points (it lacks 8) that established Mourinho’s Chelsea in season 2004-05. In this way, in addition, Guardiola achieved the title number 23 of his career as a coach, still far from the 48 that Alex Ferguson won between Aberdeen and Manchester United (also achieved one in the Scottish Second Division with Saint Mirren) for more than 30 years, but closer to the 31 from Mircea Lucescu and the 30 from Valery Lobanovski. No one dares thinking the Catalan won’t continue to increase his figures. dding a total of 325 matches, he has won 249 (76.6 percent) and has only lost 28 (8.6 percent). Their teams have scored 839 goals, an average of 2.6 per game, and conceded 231, which is 0.7 per game. Certainly, impressive.